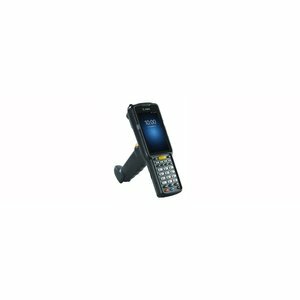 Android mobile computer and 2D imager with industrial performance: with the robust MC3300 from Zebra users in retail, warehouse and transportation capture all types of 1D and 2D barcodes from a distance of up to 18 m.
When it comes to delivering real productivity, the MC3300 applies. With push-to-talk capabilities and WorkForce connect with Wi-Fi, colleagues can communicate with each other no matter where they take place in the building. The MC3300 is efficient, connective and productive in one innovative package. 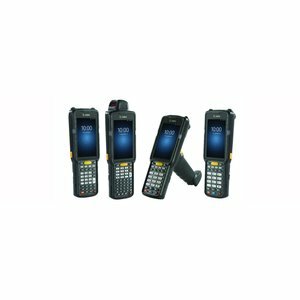 The Zebra MC3300 is a mobile computer and 2D Imager with industrial performance. 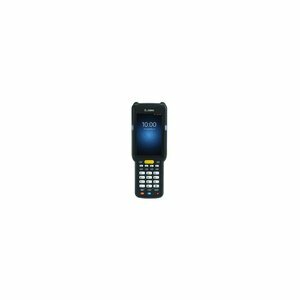 From a distance of up to 18 meters, both a 1D and 2D barcode are scanned. Compared to the previous model, this model has a larger screen of 4 inches. Thanks to the keyboard, data can be entered manually with or without a glove by a right-handed user as a left-handed user. The IP54 ensures that it is splash-and dust proof and the drop is 1.5 m.